The objective of this research is to investigate which countries in the East Asia region share common visions with South Korea as potential security partners. As power shifts to Asia, many countries in this region are adjusting their foreign policies to cope with the fast-changing external environment. In this circumstance, it is important to ask which countries South Korea is best suited to collaborate with on many regional and global diplomatic fronts. As South Korea globalizes, it needs partner countries to leverage international influence. Collective action through strategic alliances exerts more impact than when acting alone. Many analytical reports on the same topic have primarily used qualitative reasoning, such as reviewing historical patterns of diplomatic interaction between countries or providing detailed accounts of common culture and values as preconditions for a more reliable and effective security cooperation. In contrast, this report employs a more quantitative and statistical approach, using Multi-Dimensional Scaling (MDS) and data from the World Values Survey. This analyticalapproach was previously adopted by Jeremy Ghez in his research on the Trans-Atlantic Alliance. Graphically displaying aggregate data in a simple scatter diagram, the MDS modeling technique takes World Values Survey response data and charts the similarities or dis-similarities among countries. Those like-minded countries sharing common visions with South Korea could be its future partners. Only those variables in the World Values Survey that are considered to be of direct relevance were singled out and formatted as input to the model. These include questions on environment, family values and politics and society. The first variable on environment was chosen for its increasing importance nowadays in the politics of climate change. The second variable on family values was considered in response to the views advocated by Samuel Huntington that international conflicts are rooted in civilizational differences and that this variable would act as a good proxy for measuring these differences. The third variable on politics and society is a defining factor in gauging national compatibility and, hence, of prime concern. All waves of the World Values Survey since 1994 covering a period of 20 years have provided sufficient data for analyses with the exception of environmental data that was missing in the latest wave six. It is important to bear in mind that there is no standard way of addressing our objective, and our approach is just one possible way with its limitations. It should be noted that bilateral relations between countries could not be considered at present as it would have prevented meaningful comparisons to be made among all the countries analyzed directly. Overcoming this methodological limitation is an area for further research. This report presents research findings on environment, family values and politics and society with wider implications for South Korea. On environmental fronts, South Korea can play the role of an intermediary, bridging the gap between developing countries and developed countries. South Korea is observed to share values with both sides of the wealth divide. It has successfully hosted the Green Climate Fund, and has become the first country in Asia to introduce a cap-and-trade system for greenhouse gas emissions which would be in operation by 2015. Thailand, Malaysia, Japan, Taiwan, Vietnam and China are potential regional partners, while the United States, Canada, Australia, New Zealand, Sweden, Norway, Denmark and the United Kingdom are potential partners outside East Asia. In 2015, a new agreement, the successor to the Kyoto Protocol, is expected at the Paris Climate Conference, and is scheduled to be implemented from 2020. It will be beneficial to know which countries have shared common visions on the environment in the past prior to the forthcoming United Nations Climate Change Conference in Paris. It will also be very useful to know which countries have conflicting goals. For these countries, much effort is needed to narrow our differences. The purpose of carrying out a study on the subject of family values is as aforementioned. In effect, our analyses have shown that South Korea shares more family values with countries in East Asia than with any other groups of countries including the West. In particular, it is evident that there has been shifting attitudes towards women over the years with greater gender equality. This was lacking in earlier waves, which could be attributed to paternalistic Confucian traditions that are still relatively ingrained in the minds of South Korean men. On politics and society, South Korea and Japan have shown strong similarities in past political attitudes. Given the countries’ geographical nearness and relatively close proximity to the United States, this pattern is not surprising. But the latest wave six released in April 2014 revealed a mixed picture for South Korea and Japan in relation to China and the West; both countries appear roughly in between the two. For the people of South Korea and Japan, their shared political attitudes have persisted in direct contrast to the lack of shared political interests between the two governments. For Western countries, they have consistently formed clusters reflecting their shared commonalities. To some extent, this is also true of Islamic countries as shown in the latest wave six. But this feature was not observed among the countries in East Asia. In this regard, any significant geopolitical change in this region is less likely. Our analyses have led to the conclusion that South Korea should continue to work closely with its traditional partners, including middle powers such as Canada and the Netherlands which share similar democratic values and principles as South Korea. Furthermore, among emerging middle powers, South Korea could make more collaborative efforts with Indonesia, Turkey and Australia. The evidence for shared political interests with China is rather weak despite booming economic relations and tourism. However, a growing number of Chinese who are more receptive to human right issues and democratic values will, no doubt, help enhance bilateral relations between South Korea and China. Interestingly, Chileans and Germans, lately, have had converging political attitudes with South Koreans. Our findings will be of interest to policymakers to better anticipate regional and global international cooperation opportunities as they shed some light on the extent to which people of different countries share common visions with South Korea. However, it is important to remember that there are many other factors, such as bilateral relations that must be taken into consideration when policy recommendations are made to strengthen multilateral or bilateral cooperation. Bong Youngshik is a Senior Research Fellow in the Center for Foreign Policy and National Security at the Asan Institute for Policy Studies. Prior to joining the Asan Institute, Dr. Bong taught at American University’s School of International Service in Washington, D.C. as an Assistant Professor. He was also a Freeman Post-doctoral Fellow at Wellesley College and an Assistant Professor of Korean Studies at Williams College in Massachusetts. 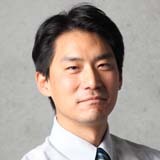 His research interests include the interplay between nationalism and security issues such as Dokdo and other island disputes in Asia, anti-Americanism, and the ROK-US Alliance. He is the author of “In Search of the Perfect Apology: Korea’s Responses to the Murayama Statement” in Kazuhiko Togo, ed., Japan and Reconciliation in Post-war Asia: The Murayama Statement and Its Implications (New York: Palgrave Pivot, 2012) and “Past Is Still Present: The San Francisco System and a Multilateral Security Regime in East Asia.”(Korea Observers, 2010). He is also the co-editor of Japan in Crisis: What It Will Take for Japan to Rise Again? (with T.J. Pempel, Seoul, Korea: The Asan Institute for Policy Studies, 2012). He received his Ph.D. in Political Science from the University of Pennsylvania. Choi Hyeonjung is a Research Fellow in the Climate Change and Sustainable Development Program in the Center for Global Governance at the Asan Institute for Policy Studies. Previously, he was a full-time instructor at the Korean Air Force Academy, Research Scholar at the Institute of Social Science, the University of Tokyo, and Research Fellow at Woori Finance Research Institute. 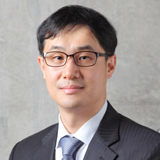 Dr. Choi also worked in public service as a Policy Research Fellow at the 17th Presidential Transition Committee, Assistant Secretary to the President for National Agenda and Deputy Secretary to the President for Green Growth at the Office of the ROK President. Dr. Choi’s areas of research interest include climate change, green growth and sustainable development, new growth engines, East Asian developmental state model and industrial policy, and national future strategy. Dr. Choi recently published a book (co-authored with Sang-hyup Kim), Green Growth for a Greater Korea: White Book on Korean Green Growth Policy, 2008-2012 (Seoul: Korea Environment Institute, 2013). Dr. Choi received his B.A. and M.A. from Yonsei University and his Ph.D. in Political Science from Purdue University. Kim Chong Woo is a Senior Research Fellow and oversees the Quantitative Methods Program at the Asan Institute for Policy Studies. Previously, he was an analyst working on choice modelling and valuation at RAND Europe. He was also a Senior TCAD Engineer at the Samsung Semiconductor Research and Development Center and a Java Application Developer at PCMS-Datafit, UK. Dr. Kim’s research focuses on the estimation and application of Discrete Choice Modelling; Stated Preference Analysis, valuing public services and non-market goods; SP model development in transport, health, communication and utilities sector. He has published widely including “Security at What Cost? Quantifying Individuals’ Trade-offs between Privacy, Liberty and Security,” RAND Report (2010) and “Modelling Demand for Long-Distance Travellers in Great Britain: Stated preference surveys to support the modelling of demand for high speed rail,” RAND Report (2011). He received his B.Sc. in Mathematics from the University of London and his Ph.D. in Mathematical Physics from Imperial College of Science, Technology and Medicine, London. He also holds a post-graduate Diploma in Computer Science from the University of Cambridge. Studies at Peking University. He specializes in Chinese foreign policy and nationalism as well as Sino-North Korean economic relations. His recent publications include “The Multilateral Economic Cooperation for Tumen River Area and China’s Leadership,” (The Korean Journal of International Relations, 2010) and “China’s Strategic Response to the Kim Jong-un Regime,” (IFANS Focus, 2012). He received his B.A. and M.P.A. (Master of Public Affairs) from the University of Connecticut at Storrs, and Ph.D. in International Relations from American University. He also completed a post-doctoral program at Tsinghua University. 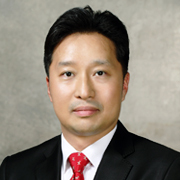 Lee Jaehyon is a Research Fellow in the Center for Regional Studies at the Asan Institute for Policy Studies. Previously, Dr. Lee was a Research Fellow at the Korean Institute of Southeast Asian Studies (KISEAS) and a Visiting Professor at the Institute of Foreign Affairs and National Security (IFANS) and the Korean National Diplomatic Academy (KNDA). His research focuses on Southeast Asian politics and international relations, East Asian regional cooperation, and non-traditional and human security issues. 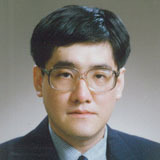 His recent publications include “Transnational Natural Disasters and Environmental Issues in East Asia: Current Situation and the Way Forwards in the perspective of Regional Cooperation,” (IFANS Review, 2011), “Political Crises after Democratization in South Korea and Thailand: Comparative Perspectives of Democratic Consolidation,” (Korea Observer, 2008). He received his B.A. and M.A. from Yonsei University and Ph.D. in Politics from Murdoch University, Australia.